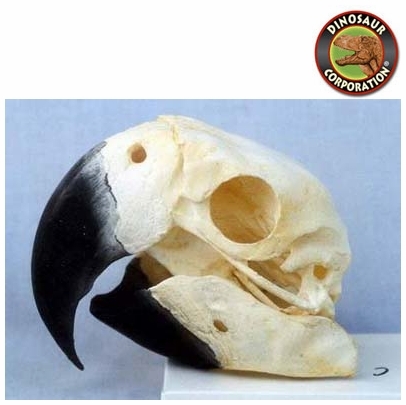 Scarlet Macaw Skull. Scientific Name: Ara macao. Macaws are small to large, often colourful New World parrots. Of the many different Psittacidae (true parrots) genera, six are classified as macaws: Ara, Anodorhynchus, Cyanopsitta, Primolius, Orthopsittaca, and Diopsittaca. Previously, the members of the genus Primolius were placed in Propyrrhura, but the former is correct as per ICZN rules. Macaws are native to Mexico, Central America, South America, and formerly the Caribbean. Most species are associated with forest, especially rainforest, but others prefer woodland or savanna-like habitats.